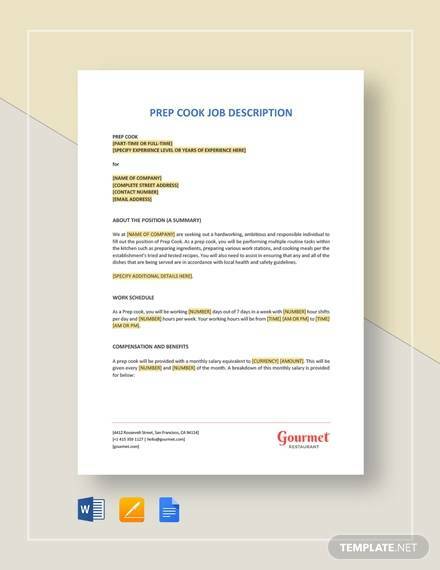 A job description is nothing but the description of a job role for the potential candidates of a company, who will handle that particular job. 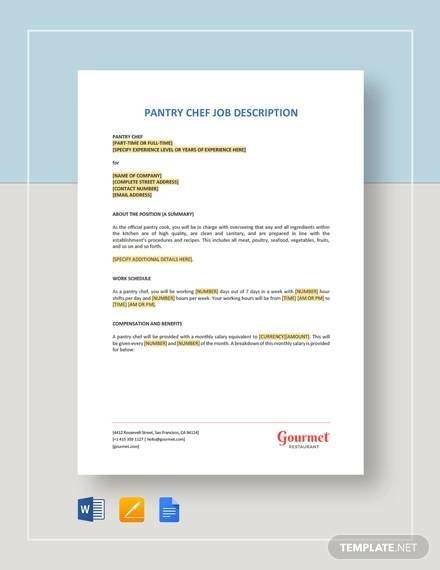 Typically, a job description should be short, concise and lucid. However, depending upon the needs, it can be a little prolonged too. 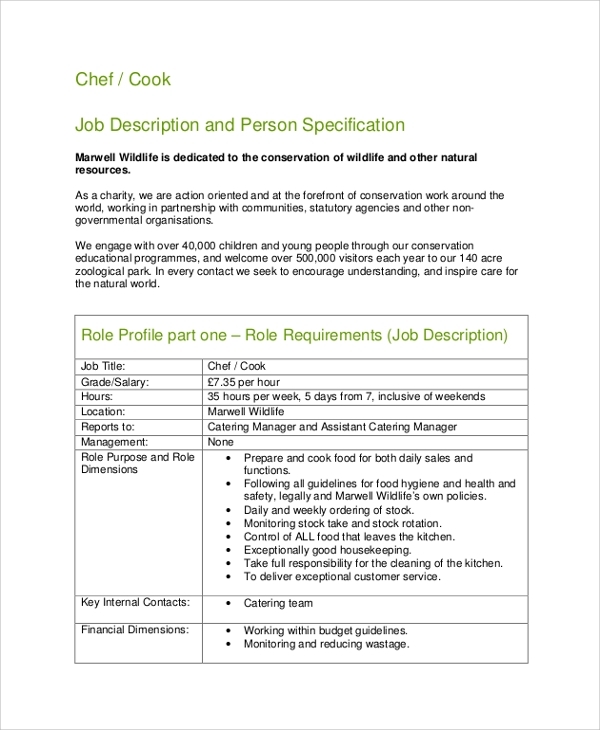 The Job Description can be used for various professional purposes. It can be used for the recruitment and advertisement for a particular job. It can be used to make employees within an organization be aware of their job roles and responsibilities. 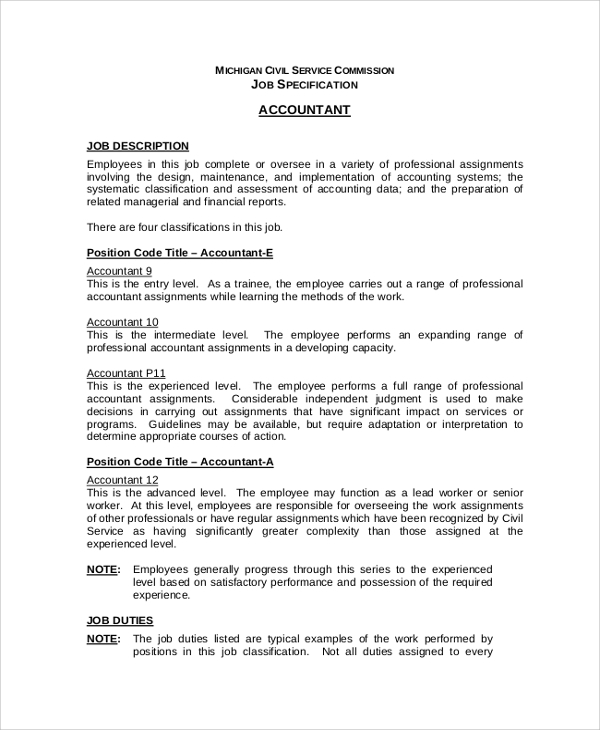 The job role of an accountant is critical and important for an organization. It should be well defined so that the professional accountants can follow the company’s guidelines with precision while performing their jobs. This is a sample for the job description of business analysts. 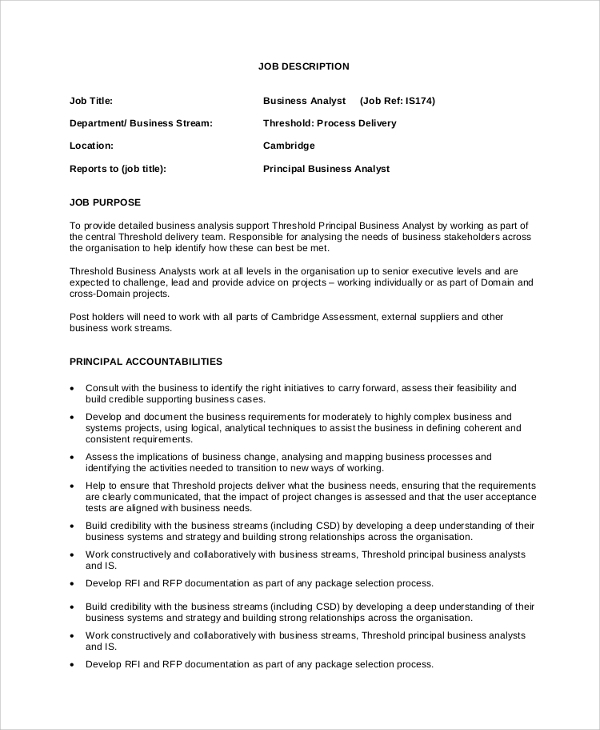 HR managers or business owners can use this job description for hiring business analysts for their companies, setting standard job description guidelines for the candidates. The job of a coordinator is crucial in various business processes. Without them, business processes would not get systematic. 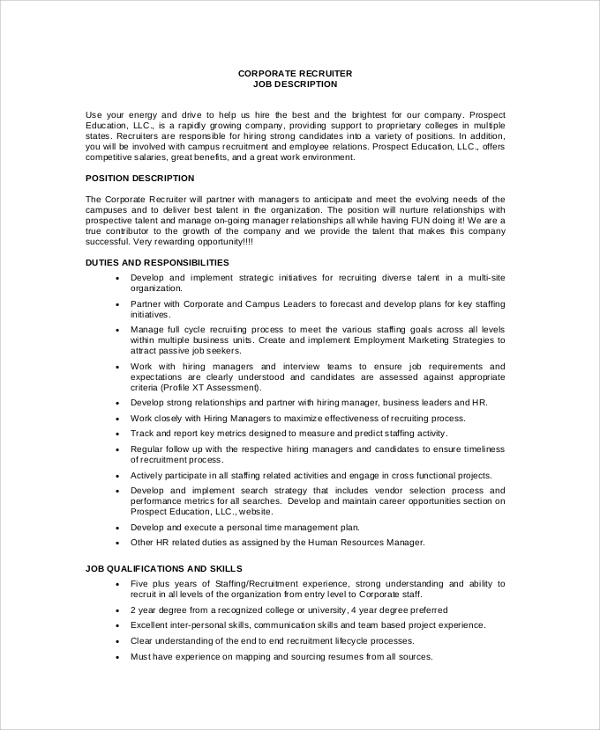 Here is a sample for the job role description of a business coordinator. A CEO’s job role and responsibilities may vary from one company to another. Here is a sample job description for a company’s CEO. The description can be modified as per wish, and it can be easily printed as well. A chef’s job is to cook, but different restaurants need to define the chef’s job in different ways. 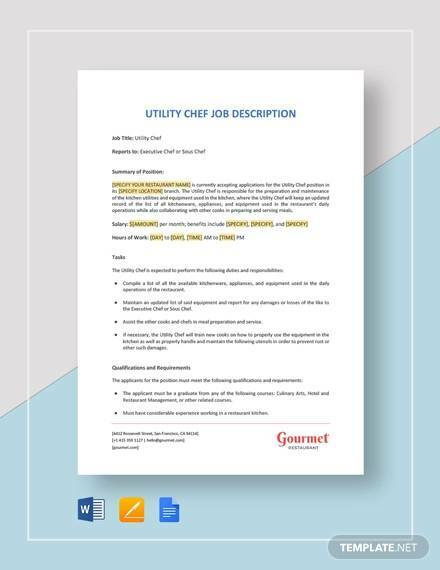 For a perfectly written chef’s job description, this sample text can be used. The job of a team leader within an organization should be well defined. If a team leader does well, the company will see more profitability in future. 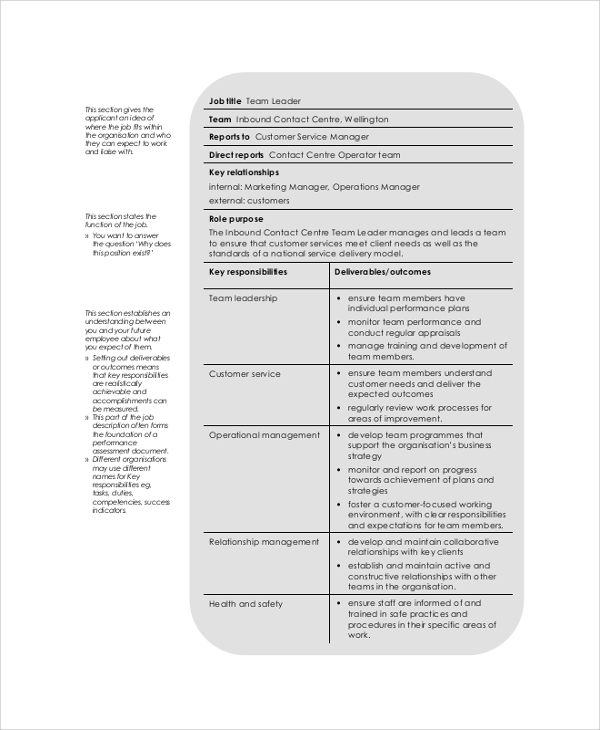 Create a professional team leader’s job description with this sample text. An electrician has to perform various tasks related to fitting and wiring system of a particular zone or house or industrial plant. 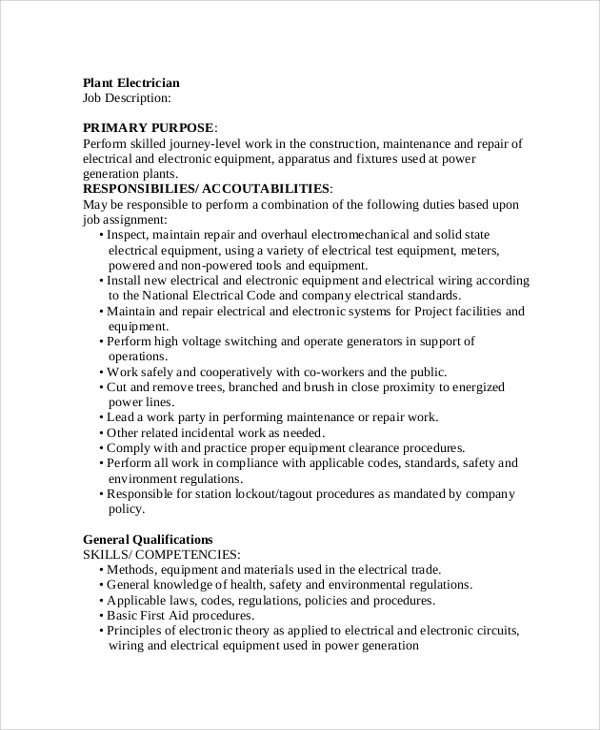 For writing a professional electrician’s job description with perfection, this sample can be used. An event planner plays the key role in making an event successful. 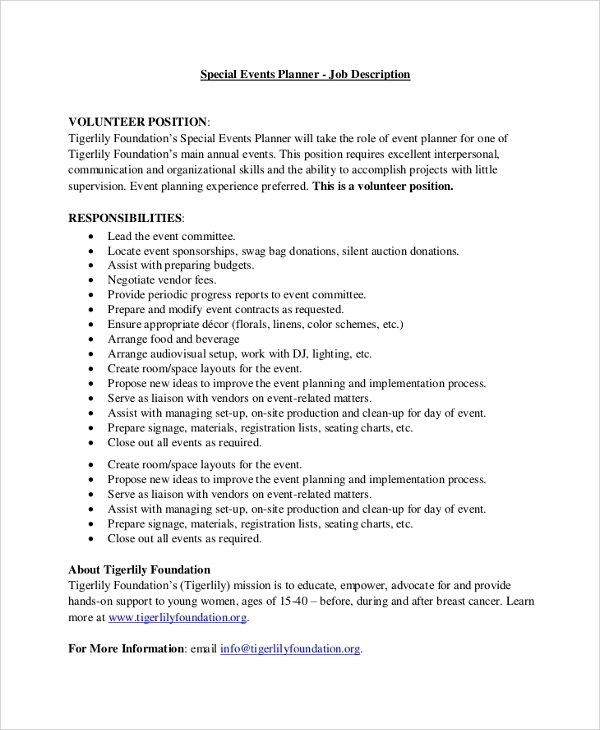 The job of an event planner should be well defined. 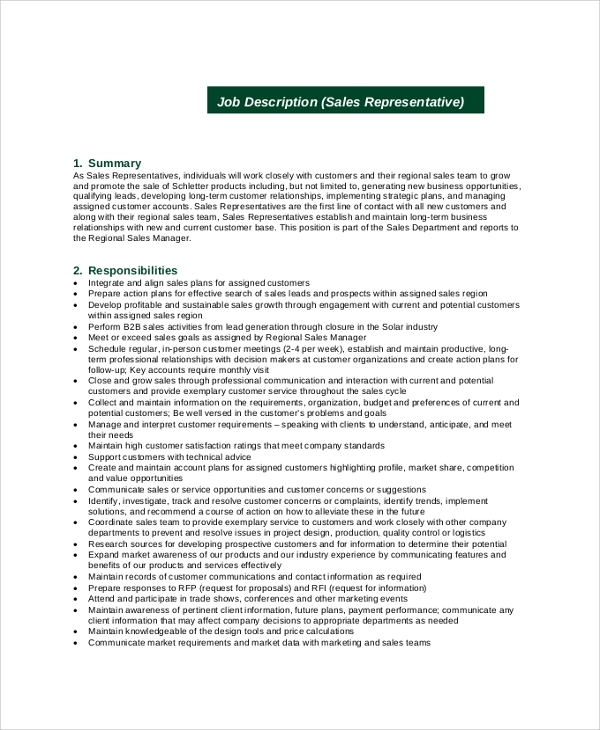 Here, this sample job description can be followed for this purpose. 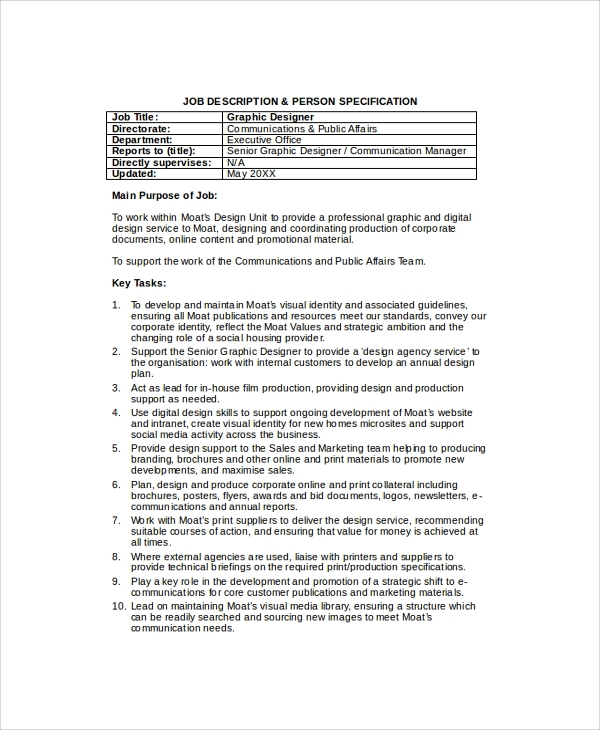 HR managers of a company can use this sample graphic designer’s job description for hiring professional graphic designers for their organization. This job description is perfectly crafted, as it includes all the important or crucial job roles that graphic designers should follow. Human resource managers have to manage a lot of activities within an organization to uphold better work culture. 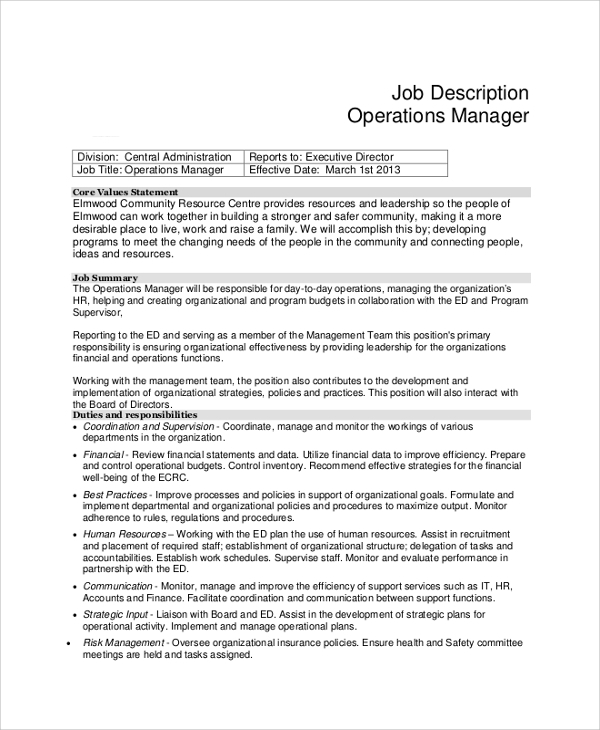 This sample job description defines the job role of HR managers in depth. 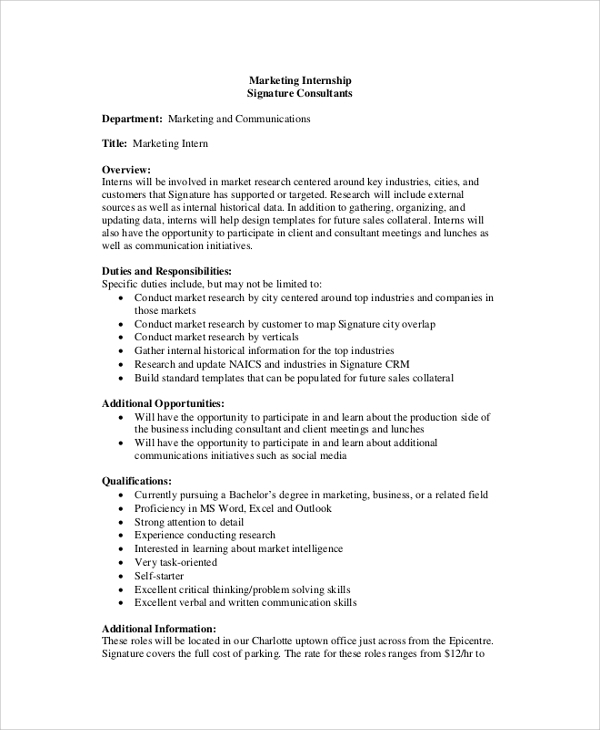 The role of an intern may vary as per the needs or requirements of the organizations. 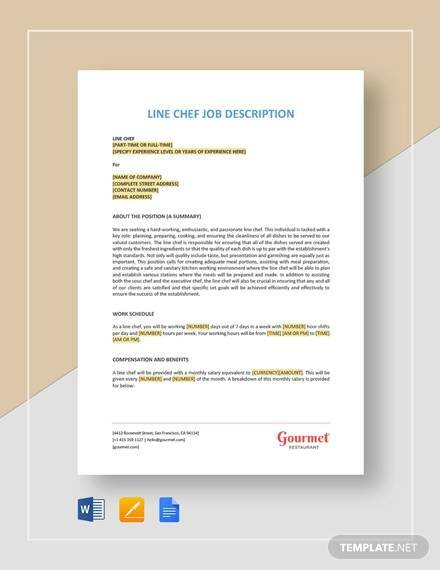 You can use this sample to define an intern’s job and customize the document to use the description as per your requirements. The job role of a librarian is to manage the books and updating the catalogs as per the arrival of new entries. 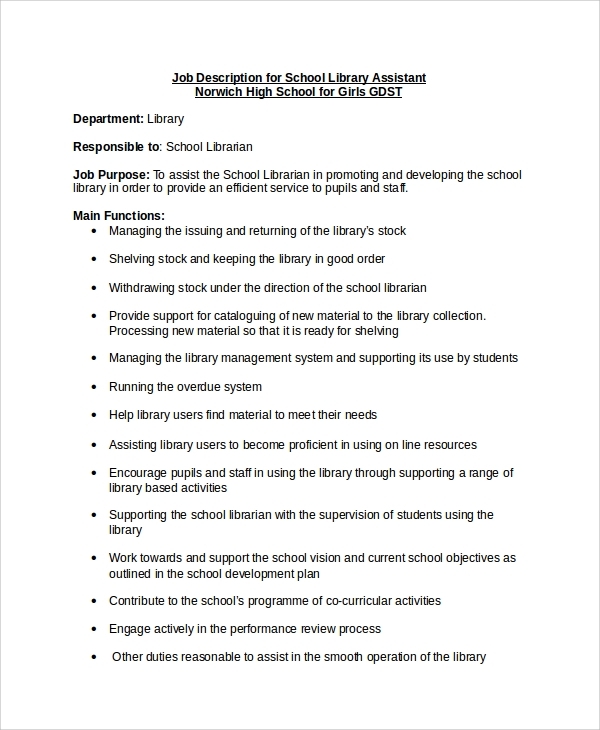 Here is a sample for a librarian’s job description, written in depth with precision. A business needs to hire managers for different reasons for various departments. To recruit a manager, you need to describe the possible job role in a seamless way. For that purpose, this job description can be used. Business marketing has a significant role to play in the success of the firm. For better business marketing, skilled staffs are needed to be hired. 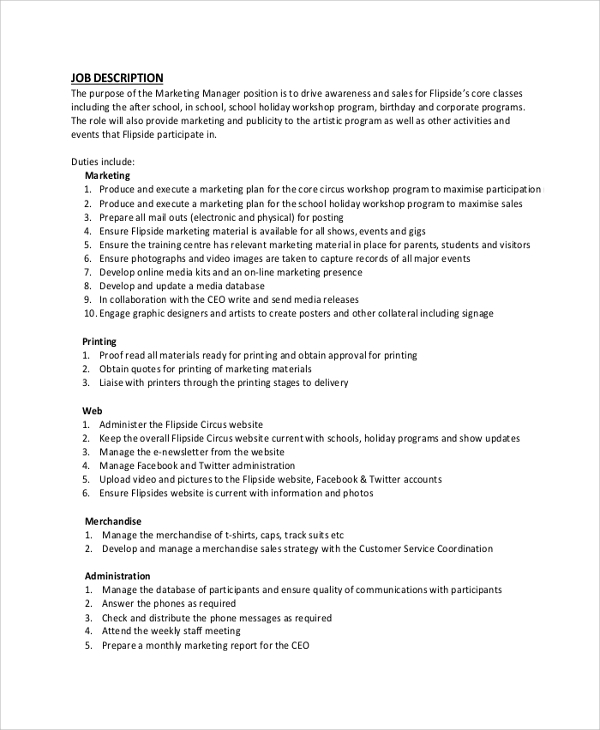 Write job roles for marketing teams with this sample job description. If you are planning a holiday for a few days, you need to find a nanny for the pets at home. 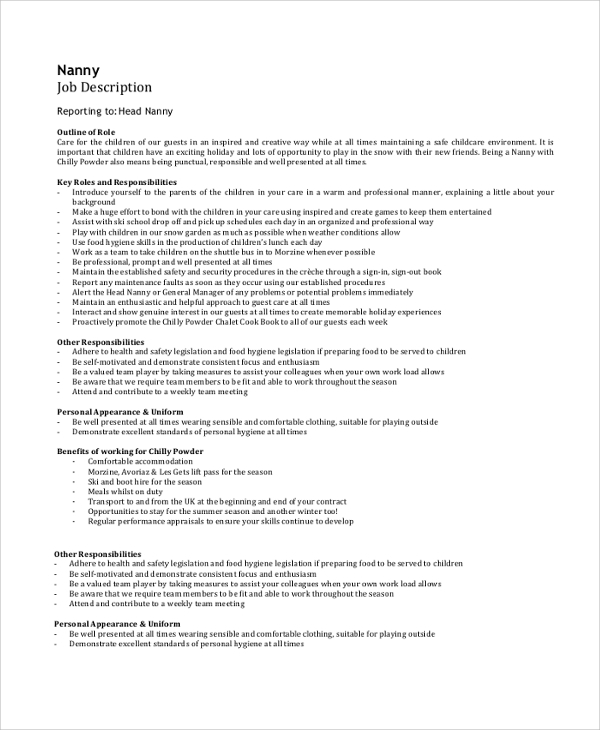 For hiring a professional pet nanny, this sample job description can be used. This sample defines the nursing job in a short and concise manner, including all the necessary details of the nursing job. 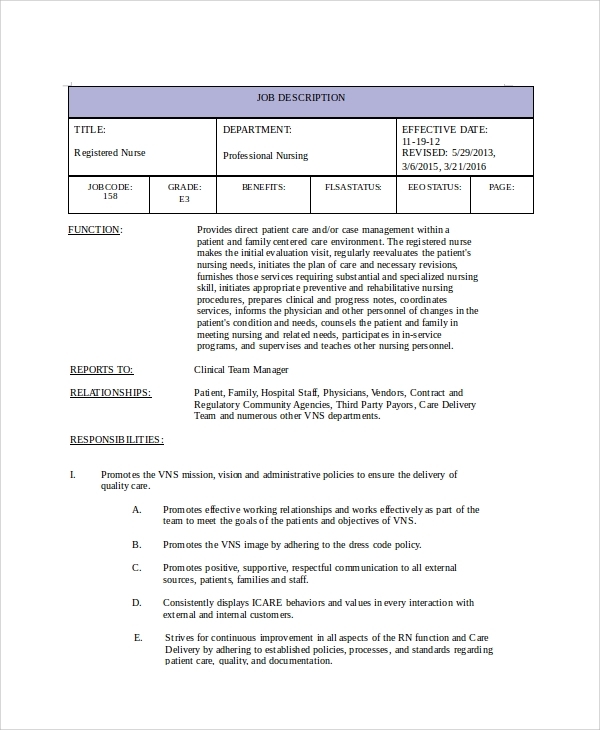 For recruiting nurses in a professional healthcare clinic, this sample can be used. 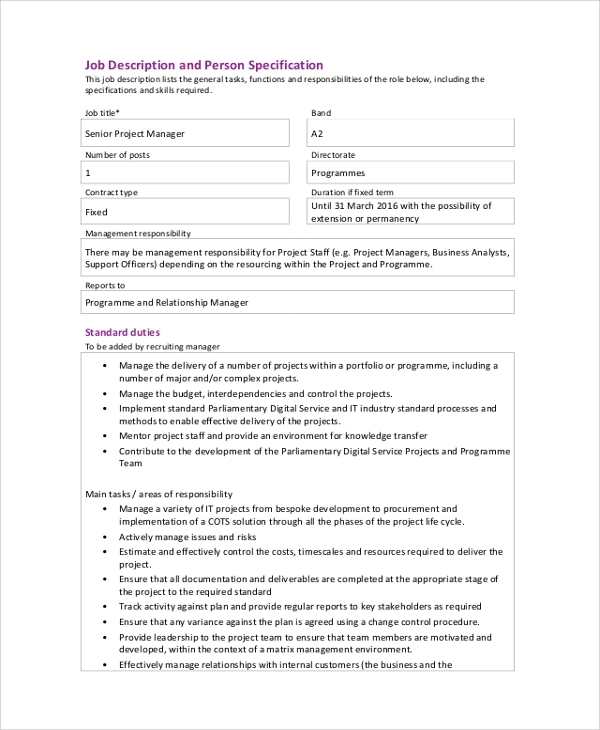 The job of a project manager is to plan as well as manage a project with perfection. Better project management is the key to successful project handling. 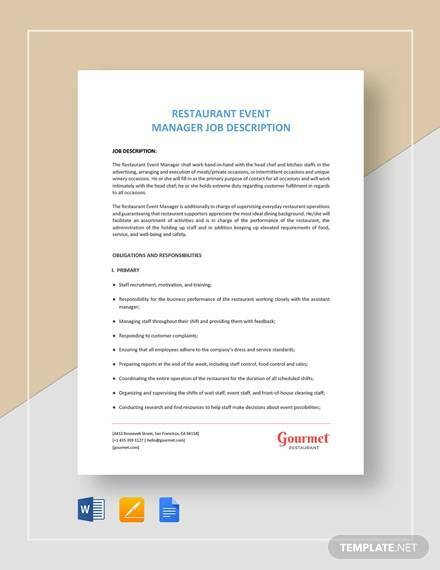 HR managers can use this sample text to write professional job descriptions for project managers. Quality assessment and control is a job that has to be performed by trained as well as skilled professionals. 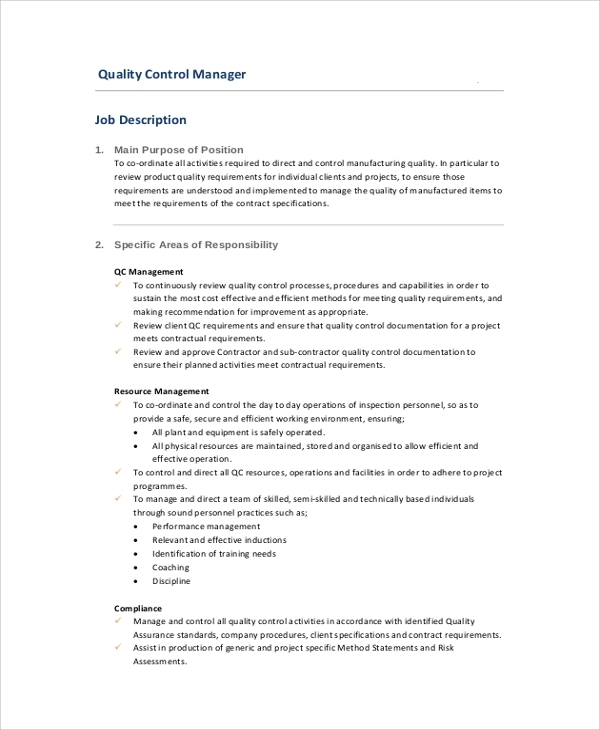 For writing a perfect description for quality monitoring and evaluation job, you can use this sample. The job of a recruiter is to find the most potential candidates for an organization or a company so that the company can perform better. Here is the professional job description for a recruiter for you. What do they mean by Job Description? The job description is defined as a short or prolonged description of the job of an employee within an organization. 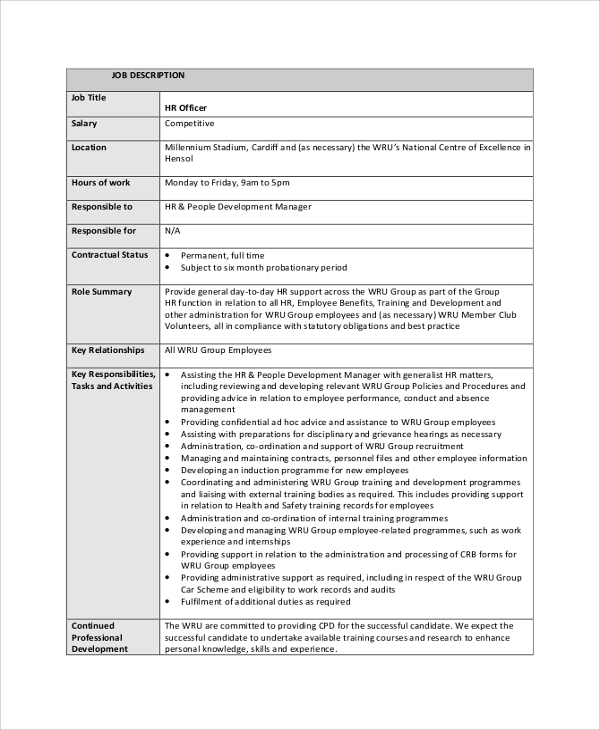 It is a statement that sets out a job in the traditional way and then illustrates special requirements from the staffs on this job role for a particular organization. A financial analyst has to perform the same job for different organizations. However, depending upon the nature of the organizations, special requirements are added. 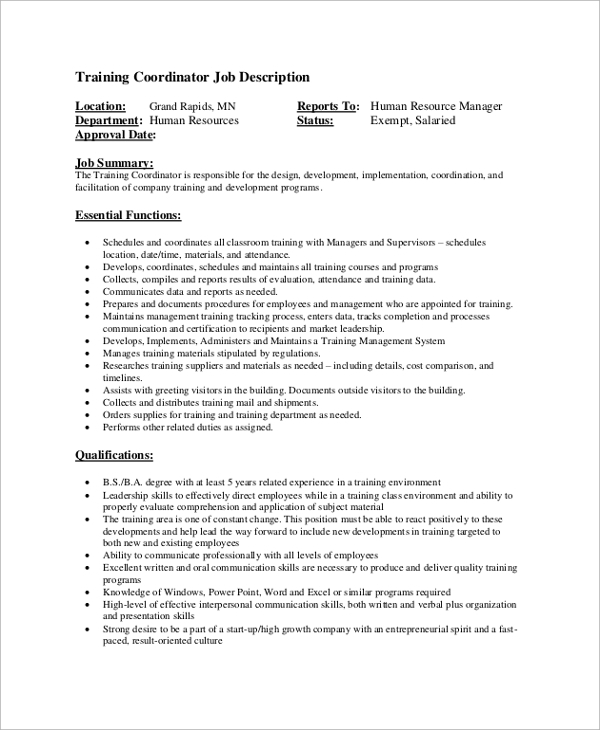 For planning staffing program, HR managers need to write Job Description statements. These statements should be lucid, giving clear instructions to the concerned persons about their job responsibilities. 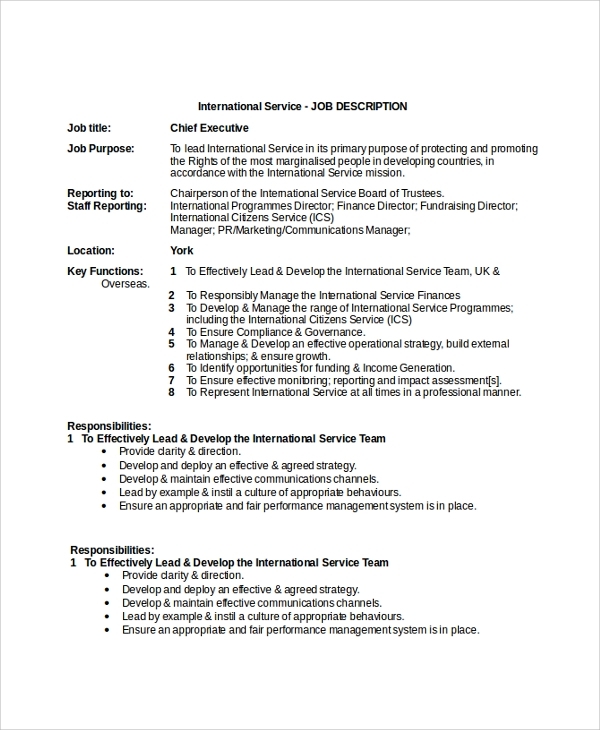 What is the Purpose of a Position Description? Writing job description serves a company in various ways. For organizational staffing program, writing job description is the most important thing. As per the job descriptions, a company hires individuals in its different departments. The job description also keeps employees aligned with company’s vision as well as mission. The job description is mainly required during the recruitment process. For creating recruitment advertisements or to conduct the hiring process with precision, professional job description statements are required. The job description has to be written with accuracy, covering all the job roles or responsibilities that an employee has to perform. 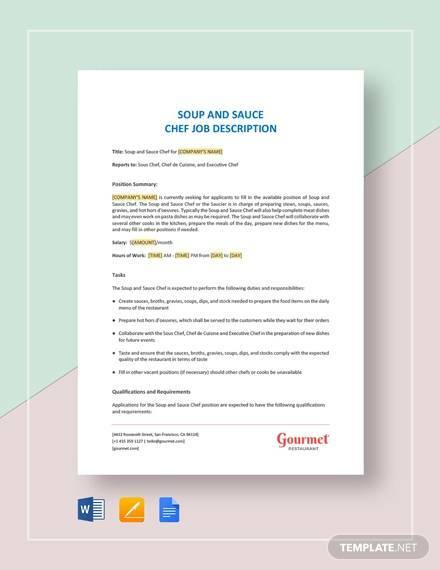 Online samples can be used to write job descriptions if you are not sure how job descriptions are actually written. Writing a job description is important for any company or organization. The write-up should be lucid and accurate. 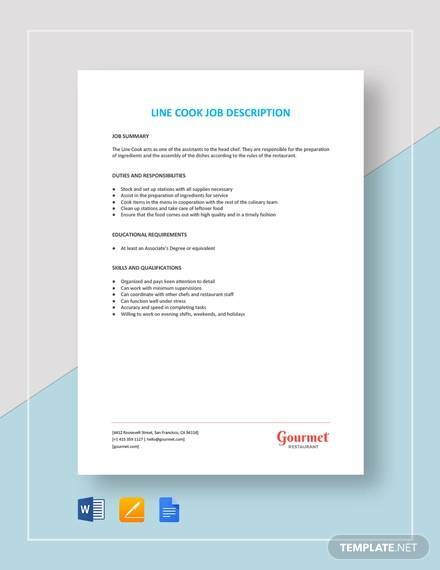 A job description can be precise or concise. It can also be elaborative, and it depends on the needs or requirements of the job description. 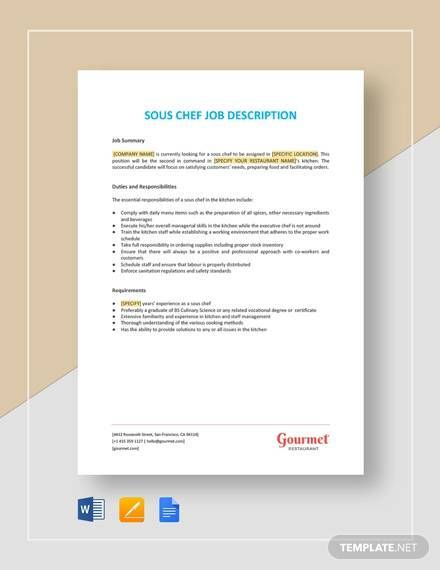 To write a professional job description, using online samples is suggested.